Scan has raised $7 million from Entree and existing investors, including Menlo Ventures in its Series A round. It’s also announcing its new Scan to Pay service, which allows people to purchase items or donate money via a quick QR-code scan, regardless of whether a person — or even a venue — is present. Scan to Pay is at the heart of the need for more funding — and the story of that funding is interesting, as well. 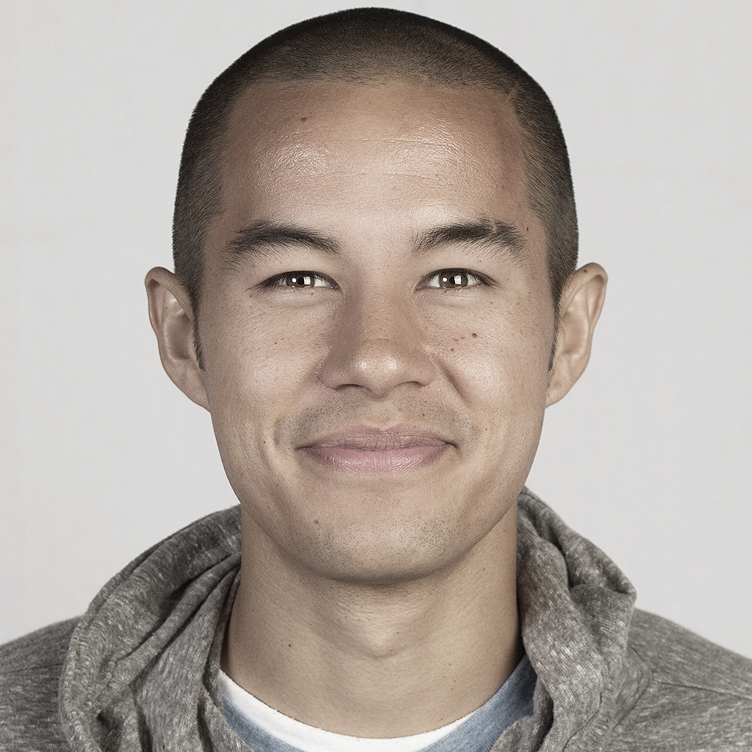 Scan founder Garrett Gee credits listing Scan on AngelList with getting this round done, and getting it done so quickly. Gee says that when they flipped the raising switch on AngelList it garnered them 40-50 calls or meetings within days. But though the deal was quickly done, that likely had a lot to do with the fact that Scan had deals waiting at home. Its list of current investors isn’t anything to shake a stick at, and sometimes names do open doors or help to quell worries. Scan has previously raised $1.7 million in seed funding from Menlo Ventures, Google Ventures, Charles River Ventures, Start Fund, Social + Capital Partnership, Transmedia Capital, Ludlow Ventures and angels Ariel Poler, Naval Ravikant of AngelList, Jim Pallotta of Raptor Group and Troy Carter. Some of those investors like Menlo are back in this round or taking their pro-rata. The pitch that the team went to London with had a lot to do with Scan to Pay and its potential to enable payments in a way that’s significantly different than the methods offered by providers like Square or PayPal. And it’s doing that throughout the more than 50 million installs of its mobile apps. 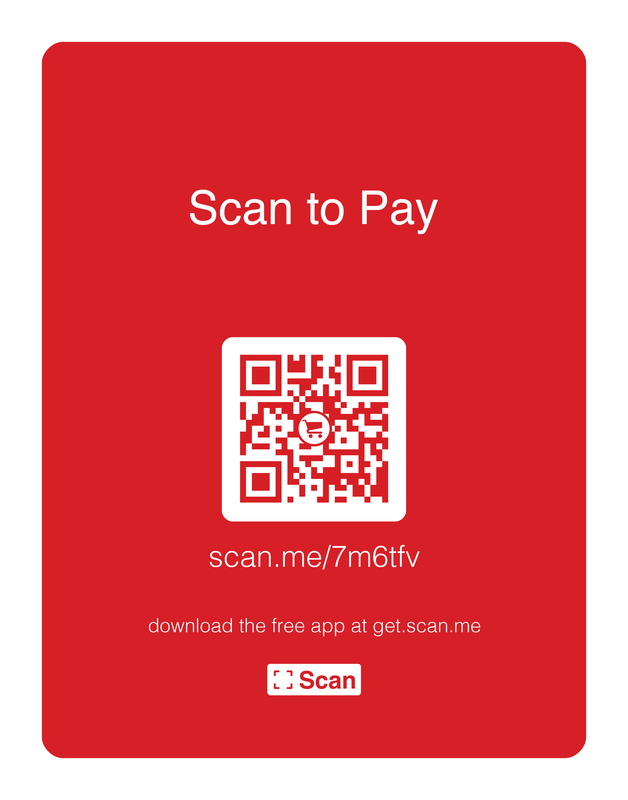 Scan to Pay is deceptively simple: someone who wants to collect money — say, to sell merchandise or collect donations — signs up for Scan and generates a QR code. That QR code can be attached to a specific item at a fixed price or a range of prices for things like a donation to an organization. That QR code can be scanned by any QR app, and iOS 7 now even has APIs for this so expect to see it pop up in more places. 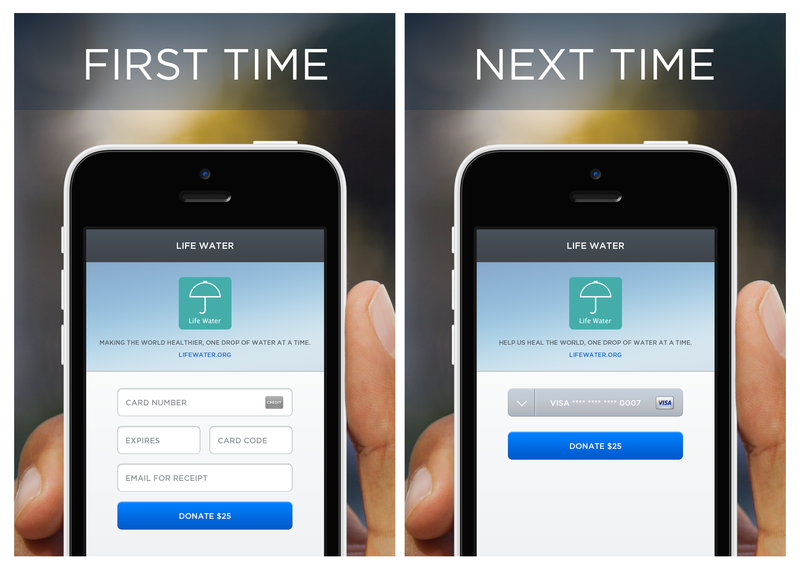 Once you scan it, you’re presented with a way to enter payment information and check out. That’s it, you’ve paid. In order to launch the Scan to Pay service, Scan will be updating its apps for Windows 8, Windows Phone, iOS and Android with the new functionality, as well as shipping a basic Mac app. Gee says that over 175K businesses have registered and have an active QR code or campaign out there. And Scan continues to generate about 500K QR codes a month. On the consumer side of things, there is about a 33-35 percent retention rate on downloaders grabbing the app and becoming actual users. There are also some interesting stats around the scanning of barcodes versus QR codes. On iOS, says Gee, around 65 percent of scans are of QR codes, which are generally attached to some sort of action. On Android, it’s exactly the opposite, with 65 percent of users using it for barcode scanning. It’s hard to draw any hard conclusions from this, but the primary use of barcode scanning is for price checking, so perhaps Android users are more actively using devices for shopping help. There are advantages to scanning the code with Scan’s app, of course. Payment information will be saved in an account, allowing you to subsequently check out very quickly. On scan of a code, a user enters a four-digit pin to confirm the payment with stored payment info. The advantage to this kind of payment flow is that there are no humans required on the sales end. This is where Scan’s approach flips the models of players like Square or PayPal’s recent QR entry. Instead of requiring an interaction where a sales clerk will scan your barcode to initiate payment, Scan lets you initiate and complete your own transaction, completely independent of staff or location. The power of this is pretty insane once you start parsing some scenarios. Here’s one for you: You’re walking down the street and see a posted flyer for a concert with a Scan-generated QR code and a price. Hey, $11 for tickets doesn’t look too bad. Scan, enter your pin and boom, you have tickets for the concert and a confirmation email. No additional apps, no payments flow, no entering information, no websites, no sales staff. Just zap and pay and done. Now another scenario: You’re reading a magazine and see a fantastic watch; you know you have to have it. There’s a Scan code right there on the page, but it isn’t one of those “send you to another page to click on some links to enter some info to maybe finish the payments flow and purchase the item”-type codes. Instead, you scan the code, enter your pin and you now own the watch, which shows up in a few days. The potential here is pretty massive, and it comes from a simple flip of the model that everyone else seems hard driven to make work. There are also plenty of scenarios involving donations and nonprofits that work really well with a code to scan and pay a variable amount. If you have fundraisers staffed by volunteers or widely distributed teams, for instance, all they need is a QR code from Scan to enable payments. No special accounts, no handling money or credit card processing on site. Simple. And there seems to be a lot of room here to craft new uses of the payment codes. Gee points to Zappos as an example of how companies are already thinking of new ways to use the Scan QR payments. Zappos has noticed over time that tons of customers filled up their carts with merchandise but never completed the payments flow. There could be a lot of reasons, but the complexity of the flow or reluctance by customers to enter payment info in yet another site are easy picks. Instead, Zappos thought that it could display a Scan code right on the screen for people to scan, paying with their pre-set info. Though we might laugh about projecting a QR code on one computer to scan it with another, that scenario is actually more applicable to the real world than you might think. The Philippines, for instance, has an incredibly low penetration of PCs in the home. But almost 4 in 5 Filipinos own a mobile phone. Much PC use is done at Internet cafes in urban zones, where people may be happy to browse and “add things to their cart” but might be reluctant to enter personal information, especially payment info. Instead, they could proceed through the entire process to the point where payment is required, then scan the code displayed with their personal “PC” smartphone and, boom, transaction (safely) complete. If Scan were a public company, the risks section would be absolutely packed with references to competing payments giants like Square, PayPal, Visa, Amazon and more. But there is a distinctly unique approach being taken here, one that flips the traditionally accepted model on its head. And sometimes that’s all it takes to get a toehold.